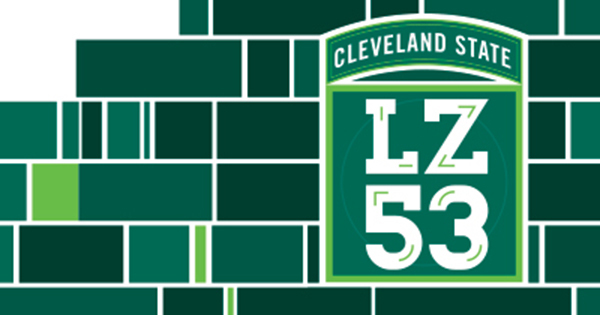 The next time your phone rings, it might be Cleveland State calling. The University strives to keep in contact with alumni through social media, email and yes, even mail and telephone. At the front line of telephone communication are 30 student employees seeking alumni support for the CSU Annual Fund while earning money to help pay for their own education. From August through May, CSU’s 15-station phone center is humming with activity Sunday through Thursday evenings. And the results are impressive. As of mid-April, student/alumni phone chats have raised nearly $259,000 with more than 3,100 pledges. The tally for phone center student supervisor T.J. Jaber is nearly $37,000. A junior majoring in pre-medicine/health sciences, Jaber came to CSU from his homeland of Jordan and hopes to become a cardiac surgeon. 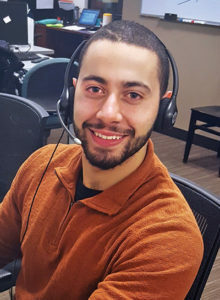 The alumni connection provided by his phone center job has enriched his Viking experience. “Our alumni are wonderful people who appreciate their education and CSU. They have life experience and have achieved a lot. I love hearing about their time on campus and getting their insight on career success while making them aware of what’s happening at the University,” he says. CSU’s Annual Fund is an opportunity for alumni to say thank you for their education through a gift of any size to their favorite CSU College or the University in general. Annual Fund gifts support areas of greatest need. However, donors may direct their gift to support student scholarships, faculty development, academic programs, and more. Before calling begins, students are trained in basic fund-raising techniques, telephone etiquette and establishing rapport with alumni. They also are provided extensive information on the University and each of its Colleges so they can easily converse with alumni and answer questions.